The paper gives a detailed analysis of technological process of threading pipes and characteristics of the production equipment. It presents identification and analysis of the occupational and environmental hazards and dangerous substances generated by the manufacturing process. Industrial noise and vibration levels have been estimated, their meanings being compared with the normative data. The system of occupational and environmental safety at the site has been developed as well as the system against the above-mentioned negative factors. In order to reduce the level of noise it is advisable to side the walls with semi-soft acoustic plates. The noise reduction value is determined through the application of sound-absorbing cladding. The potential risk of traumatic situations and occupational disease is reduced as well as significant effects of working conditions on workers’ health. The economic analysis of security management system under consideration has been conducted. Keywords: noise pollution, technological process, sound-absorbing materials. Kozikova I.V., Ermolaeva V.A. The use of a catalytic method of neutralization of organic impurities in gas emissions of complex composition // Advances in current natural sciences, 2011, № 7. − P. 123. Ermolaeva V.A., Petrova E. Selection of efficient treatment of gaseous emissions as part of environmental safety // Modern high technologies, 2008, № 2. − P.38. Ermolaeva V.A., Kozikova I.V. Calculation of theoretically necessary thickness of a layer and volume of the catalyst for clearing of gas emissions of difficult structure // Engineering industry and life safety, 2011, № 1. − P.4-7. Ermolaeva V.A. 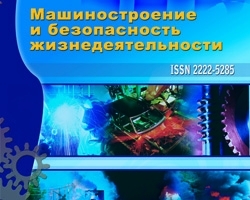 Theoretical bases of process of crushing by manufacture of medical products // Engineering industry and life safety, 2011, № 2. − P.14-16. Bebneva S.I., Ermolaeva V.A. The problems of industrial process safety production of oxygen from the air // Advances in current natural sciences, 2011, № 7. − P.78.